Welcome to Radio SAB Digital – Your Home Of Maxisingles. Wherever you are, we would love to hear from you. Comment on FB page or email us and tell us where you are listening to Radio SAB Digital. Also tell us what songs you want to listen to. Retro Style Party Radio Brings You The World of Maxisingles And Extra Special Versions Of The Greatest Hits From The 80s, 90s And Beyond. Radio for music friends who don´t want just the short radio version. Press the play button and wait a few seconds for the read signal. In case of signal failure, reset the page by pressing F5 and press the play button again. FOR MOBILES use a low bit rate link. You can use too an alternative direct stream link. If you want to know the name of the song that is currently playing, check out here. Pleasant Chillout Music Listening To The Best Relaxation Music From Around The World. 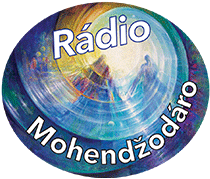 Radio for pleasurable ralxation with meditation over the higher sense of life and for those who like to travel. Our radios are broadcast legally under a valid license. All Fees for OSA and Intergram are properly paid.